An application of a comprehensive and compact methodology to obtain the asymptotically-correct stiffness matrix of anisotropic, thin-walled, closed cross-section, and rotating slender beams is presented. The Variational Asymptotic Method (VAM), which utilizes small geometrical parameters inherent to thin-walled slender beams, is used to obtain the displacement and strain fields, and the cross-sectional stiffness matrix without any ad hoc assumptions. The advantage of this approach is that the asymptotically-correct and populated 4 × 4 cross-sectional stiffness matrix provides all the necessary information about the elastic behavior of the rotating beam, thereby nullifying the need for refined beam theories that incorporate higher order deformation modes, like the Vlasov's mode. The implementation of the theory usingMATLAB was validated against the Vartiational Asymptotic Beam Sectional Analysis (VABS) computer software, a two-dimensional finite element program that utilizes a more general approach to the VAM that is applicable to thick/thin-walled anisotropic crosssections with arbitrary geometry. Sample applications of the theory to rotor blades are presented. 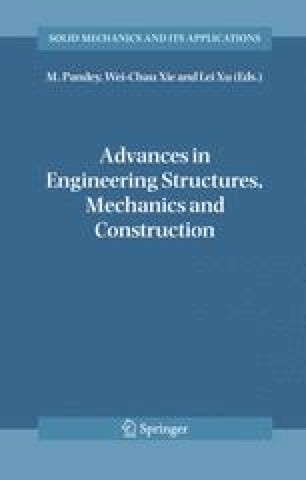 The paper concludes with a discussion of how the presented material would be used directly in the dynamic modelling of rotating helicopter blades.